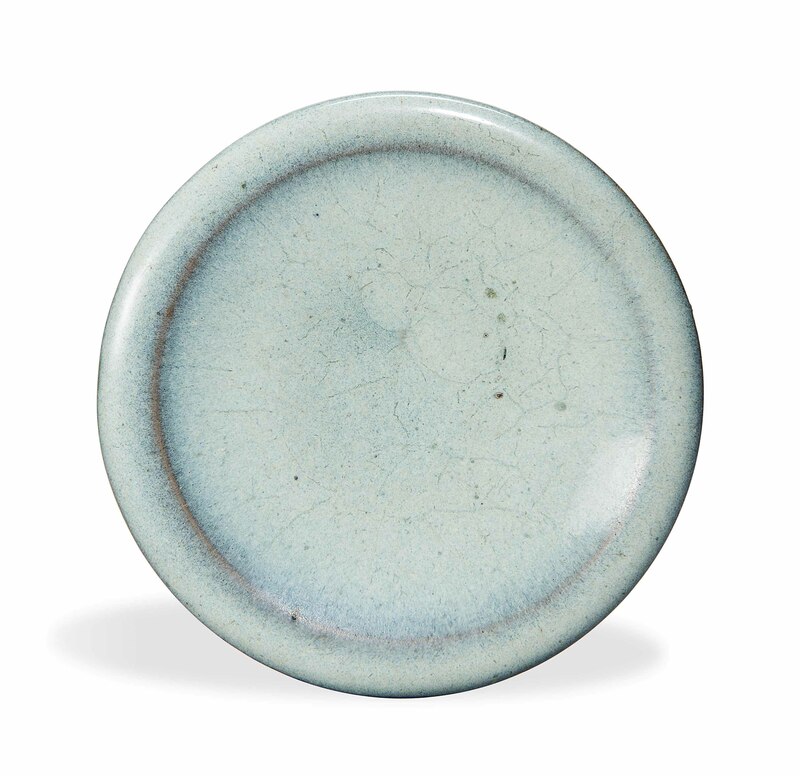 It is raised on a circular foot and modelled with shallow sides rising to a broad rounded rim, covered in an unctuous pale lavender-blue glaze. 4? in. (12.4 cm.) diam.